This collection of essays is the result of a Maastricht Research Based Learning (MARBLE) Project that was carried out at the Faculty of Arts and Social Sciences (FASoS) at Maastricht University in the academic year 2013-2014. 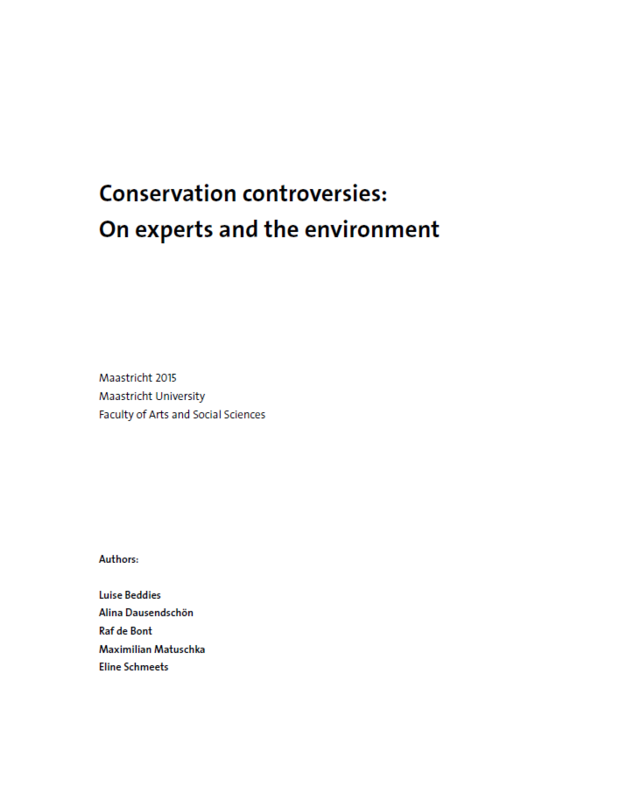 The project went under the title ‘Conservation Controversies’ – funnily misspelled at the university website as ‘Conversation Controversies’. Next to having agreeable conversations about conservation, this MARBLEproject aimed to provide so-called research-based learning. Under the guidance of Raf de Bont, five third year students from the Bachelor programs ‘Arts and Culture’ and ‘European Studies’ explored the role of experts in controversies about nature and the environment. They did so via particular case studies. Four of these are presented in this volume.